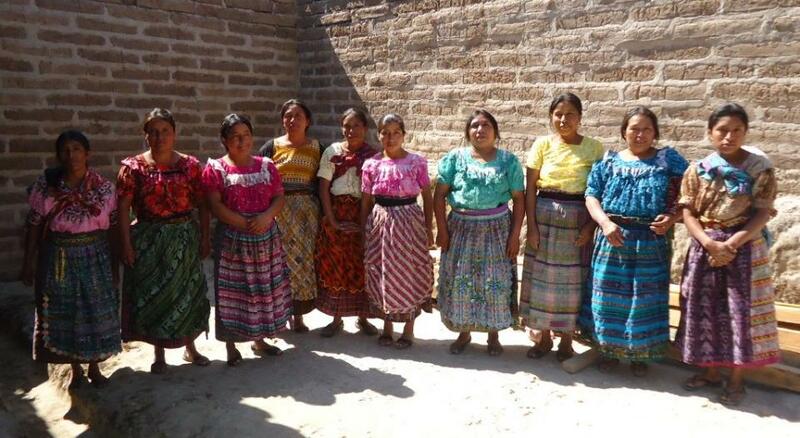 A loan of $3,075 helped a member to purchase thread for weaving skirts and traditional girdles. Cristina is 27 years old, and is a single mother of two children, one of whom is in school. She was only able to complete six years of elementary school, and currently makes a living weaving artisanal clothing and crafts, specifically skirts and traditional women's girdles known as fajas. Cristina has five years of experience in this craft, a skill she learned while helping her mother with her weavings. Cristina plans to use the support from this loan to purchase various colors and styles of thread for use in weaving fajas and other artistic garments. In the near future, Cristina hopes to expand her business and to employ additional workers to weave skirts and fajas in larger quantities. The other members of the group make a living in similar artisan crafts, as well as raising small farm animals and birds for resale. Translated from Spanish by Kiva volunteer Gillian Goodrich. View original language description. La señora Cristina es madre soltera, cuenta con 27 años de edad, curso los 6 años de educacion primaria, tiene 2 hijos y 1 de ellos estudia, ella se dedica a la artesanía, específicamente a la elaboracion de fajas para damas, aprendio este trabajo ayudando a su madre y hasta el momento lleva 5 años de experiencia. Organiza un grupo para poder solicitar un préstamo que lo utilizara para la compra de de hilos para la elaboracion de fajas. En el futuro no muy lejano quiere tener empleadas y entregar fajas por mayor; las demás integrantes del grupo se dedican a la artesaria y a crianza de aves de corral. ASDIR (Asociación de Desarrollo Integral Rural - Association for the Development of Rural Communities) is a community-based organization that works to promote development in the villages and communities where it serves. It was founded in 1999 in the village of Nimasac, Totonicapán Department, by a handful of local men and women to support community projects and group loans. Today ASDIR has 5 offices across 3 departments (Totonicapán, Sololá and Suchitepéquez) serving more than 6,000 clients, most of them in rural communities. Kiva partners with ASDIR because it works with clients in rural Guatamala who have previously had limited or no access to credit and other financial services. The organization also provides important community services, like computer training courses and a youth entrepreneurship program.